The Arctis headset series represented a maturity in gaming audio much needed by many. High grade materials, comfort, great audio, and a good microphone all bundled together. Steelseries takes this much further by using premium speaker drivers that have expanded the frequency range by almost double when compared to standard gaming headsets. Moving from the 20Hz - 22kHz featured in the base Arctis models, the Pro series is capable of reproducing audio in the range of 10Hz to 40kHz, earning itself the High-Res Audio Certificate. To compliment the Arctic Pro headset, it is also available bundled with the GameDAC, which is a USB DAC powered by the ESS Sabre 9018, providing up to 96kHz 24bit audio. But wait, there is more!! RGB LEDS!! 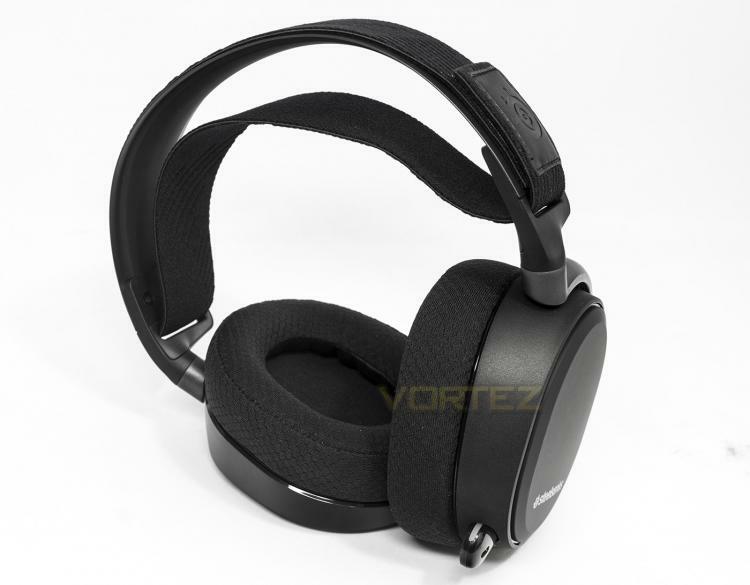 <<< No, not just that, but DTS Headphone:X v2.0, the next step in virtual surround technology. As exciting as this all sounds, the Arctis Pro and its premium features have the price tag to match, with the headset alone costing £179, or bundled with the DAC at £250, or the Wireless version at a whopping £300.